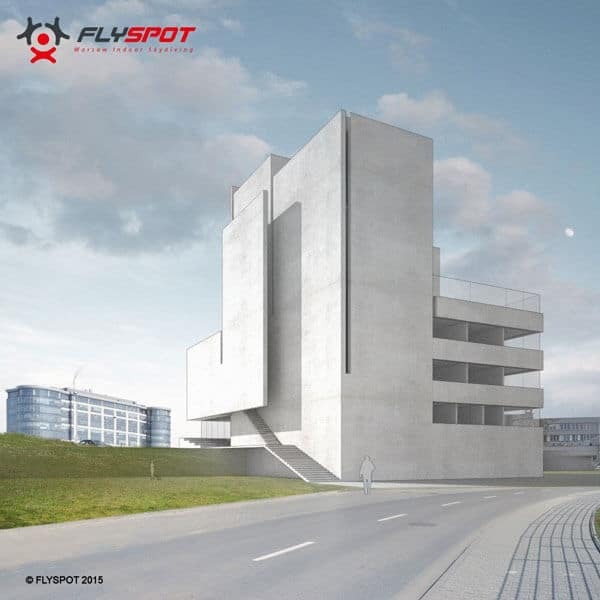 Flyers can enjoy the second FlySpot facility, this time in Katowice. The Indoor Skydiving Germany built wind tunnel is the 1st ISG One Fan tunnel opened worldwide. This beautiful tunnel is located in the center of Katowice, Poland and is easily recognizable by the amazing architecture of the building. 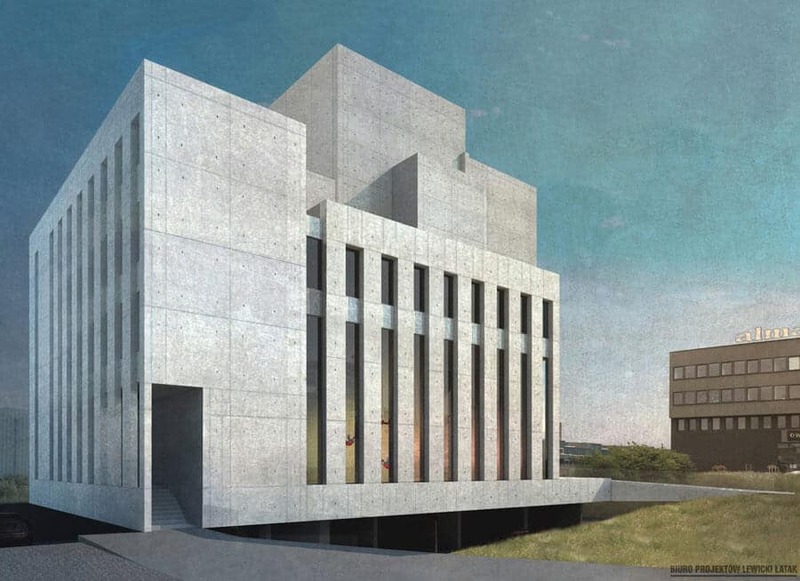 The design features a grey concrete exterior similar to the original location in Warsaw. The tunnel is made of reinforced concrete which helps keep the tunnel quiet and reduce vibration. This makes Flyspot extremely quiet to the viewers, and provides the highest quality of airflow for the flyers. Surrounding the flight chamber you will find bean bags for lounging and watching. Flyers of all skill levels can enjoy the freedom of bodyflight in this beautiful facility. The FlySpot team has been the host of many competitions, videos, and media events. It's a very popular location for skydivers and proflyers to train due to the welcoming machine, accommodations and skilled staff. Browse all Tunnels in Poland or expand your search worldwide.